Holiday villa (terraced) located just 300m from shops and from the sea in the "Les Tremieres " Residence. Entrance hall. Hallway with cupboard. Living room with sofa, TV and DVD player leading onto the fenced patio area. Fitted kitchen with mini oven, gas hob, fridge-freezer, dishwasher and microwave. WC. Bathroom with washing machine. Bedroom 1: Double bed of 140 plus wardrobe. Bedroom 2: Double bed of 140 plus wardrobe. Bedroom 3: Double bed of 140 plus shelving. 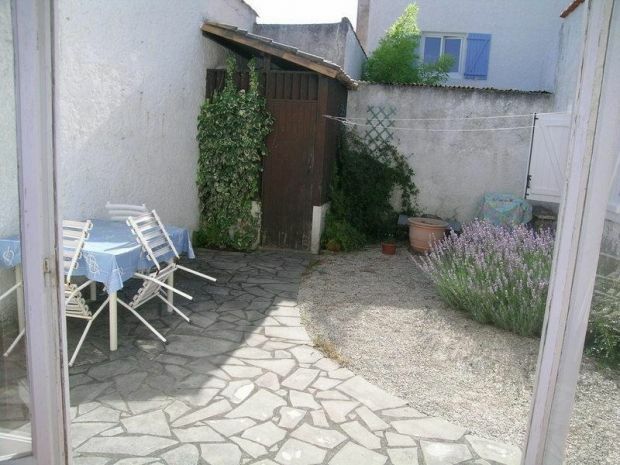 FENCED PATIO - GARDEN FURNITURE & BBQ - PARKING SPACE N°87 - SLEEPS 6. Seaside district of the town of Mathes, La Palmyre is primarily prized for its beautiful sandy beaches and the famous bay of Bonne Anse. In this paradise, you can practice sailing, kayaking, kite surfing, paddle but also enjoy the famous spot of La Coubre, on the wild coast, to improve your surfing or bodyboarding. In the heart of the bay, nature lovers can observe many species of migratory birds and, at low tide, indulge in fishing on foot. If you want to discover the beauty of the coast from the sea, you can also embark on a sailboat from the port of La Palmyre. Many bike paths will allow you to walk in the forest of Coubre and access the beaches (La Palmyre, Club Med, the lighthouse of the Coubre, the Côte Sauvage until Ronce Les Bains), shops, markets Wednesday and Sunday from April to September, and the ZOO. North of Royan, on the Côte de Beauté, La Palmyre welcomes you for a pleasant holiday with family or friends. Between sea and forest, you will enjoy a breathtaking setting to relax, to spend and to make beautiful discoveries.